Genetic algorithms are one of the state-of-the-art metaheuristic techniques for optimal design of capital-intensive infrastructural water networks. They are capable of finding near optimal cost solutions to these problems given certain cost and hydraulic parameters. Recently, multi-objective genetic algorithms have become prevalent due to the conflicting nature of these hydraulic and cost objectives. The Pareto-front of solutions obtained enables water engineers to have more flexibility by providing a set of design alternatives. 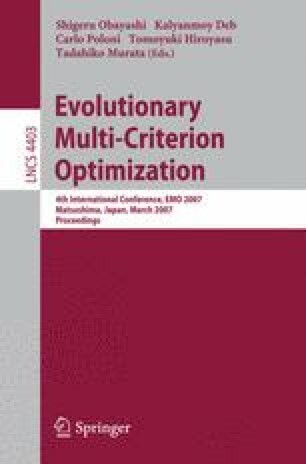 However, multi-objective genetic algorithms tend to require a large number of objective function evaluations to achieve an acceptable Pareto-front. This paper describes a novel hybrid cellular automaton and genetic algorithm approach, called CAMOGA for multi-objective design of urban water networks. The method is applied to four large real-world networks. The results show that CAMOGA can outperform the standard multi-objective genetic algorithm in terms of optimization efficiency and quality of the obtained Pareto fronts.